From misplaced mail to ex-con candidates: Our two-part series lays out the issues that voters across the city are facing in the Feb. 27 aldermanic and mayoral elections. Why would you go there? You like bars and being in “cool” neighborhoods. What are people pissed about? 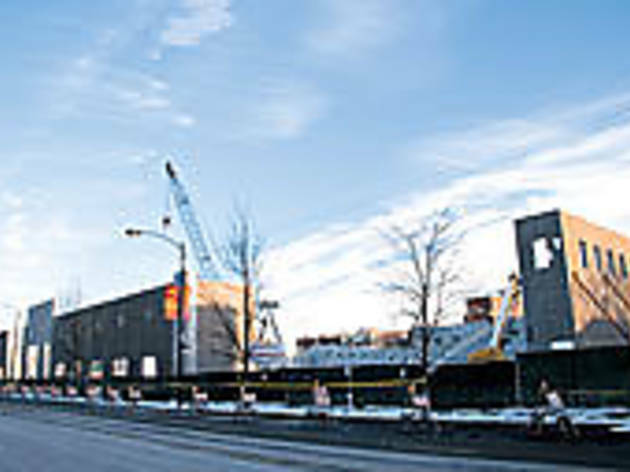 Rapid development, and the Dominick’s replacing Edmar Foods at Chicago and Damen Avenues. There are efforts to landmark the commercial district along Milwaukee Avenue in Wicker Park. Who will rule the land? Incumbent Manny Flores, who beat out Daley-backed Jesse Granato, is unopposed. Four years later, Flores is now part of the Machine and charming as ever. Why would you go there? The area has become home to trendy restaurants and the city’s fanciest Target. What are people pissed about? The breakneck residential development has pushed out a once-thriving black entertainment strip. Also, dogs reportedly have been peeing on the 106 headless, treelike sculptures that make up Magdalena Abakanowicz’s Agora. Who will rule the land? Incumbent and Daley ally Madeline Haithcock only got 55 percent of the vote in 2003. She faces three serious challengers: civil-rights attorney Bob Fioretti, Chicago Defender columnist Larry Doody and David Askew of the Illinois Attorney General’s civil rights bureau. Why would you go there? The rejuvenated 47th Street district in Bronzeville, is home to clubs, restaurants and cultural institutions. Bronzeville is one of the most historically significant African-American ’hoods in the country. What are people pissed about? Poverty, crime, lopsided development. 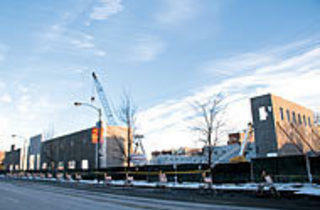 The condos going up on the east end of the ward are in stark contrast to decimated areas in the west. Residents were furious that Ald. Dorothy Tillman spent $200,000 of the ward’s infrastructure money on statues of jazz musicians at 47th Street and King Drive. Who will rule the land? Tillman’s got great hats and strident racial politics, but Pat Dowell, who’s challenging Tillman for a second time, has got the backing of organized labor. Why would you go there? The beautiful parks and architecture, or perhaps for the Olympics in 2016. What are people pissed about? The lack of affordable housing in poorer parts of the ward. Community groups also are not pleased that Washington Park has been proposed as the location of an 80,000-seat Olympic stadium, instead of larger vacant lots in the area. Who will rule the land? Toni Preckwinkle, a U. of C. alumnus, has cosponsored living-wage and affordable housing ordinances. Her lone opponent, Norman H. Bolden, is not expected to unseat her. Why would you go there? The University of Chicago. South Shore is one of the South Side’s most desirable neighborhoods, with lakefront parks, restaurants and historical buildings. What are people pissed about? The South Shore is home to a large proportion of Chicago’s professional African-American community, but poverty and crime are major problems, especially at the south end of the ward. Who will rule the land? Incumbent Leslie Hairston is popular and powerful; opponent Oscar Worrill is not. What are people pissed about? This ward is a buffer between the middle-class neighborhoods to the east and the poverty-stricken wards to the west. Residents want development without encouraging gentrification. Who will rule the land? The feisty Freddy Lyle is a hard woman to beat. Why would you go there? For blues on Sundays and Mondays at Artis’s. What are people pissed about? Forget the issues—this is a showdown between two South Side political powerhouses: Darcel Beavers, daughter of power broker and Daley ally William Beavers, who gave up his seat to run for Cook County Board; and Sandi Jackson, wife of Congressman Jesse Jackson Jr.
Who will rule the land? The Jacksons wield enormous influence, and this showdown may decide which dynasty rules Chicago come 2011. What are people pissed about? This middle-class ward needs of some commercial investment. Traffic. Who will rule the land? Daley appointed Michelle Harris to replace Todd Stroger, who replaced his father as Cook County Board president. The Stroger clan could keep Harris in office. Why would you go there? To attend a service at Salem Baptist Church, one of Chicago’s largest congregations. A Wal-Mart Supercenter will open on 111th Street by 2008. What are people pissed about? Violence and high HIV rates. There was a recent CeaseFire march at the Altgeld Gardens housing project, where hip-hop up-and-comer Vi grew up. Who will rule the land? Ald. Anthony Beale has got the backing of the unions. But he has three opponents, including gang member–turned–peacemaker Harold “Noonie” Ward, star of Gangster with a Heart of Gold, narrated by Kanye West and Common. Why would you go there? To see the old steel mills in what was once one of the largest production centers in the country, or participate in the many blood or bone-marrow drives. What are people pissed about? The area has high rates of asthma and cancer due to emissions and illegal waste dumps. There’s also few job opportunities; residents would like to see jobs from the relocation of Route 41.
Who will rule the land? Until now it’s been John Pope, who is backed by the Hispanic Democratic Organization, a group frequently cited in the media for its organized-crime ways (i.e., Hired Truck). A likely contender is Dinah Ramirez, a former RN who started the Healthy South Chicago program and grew up in the largely Hispanic ward. What are people pissed about? The 11th Ward has been the center of city politics and produced just about every Chicago mayor, including the Daleys. This might explain why new residences are going up like Stroger’s staff salaries. The Chicago Sun-Times reported that the city asked a developer to give a discount to Ald. Jim Balcer, which he refused to do; the developer was later cited with code violations. Who will rule the land? Carl Segvich is the only challenger up against Balcer and will likely strike out. What are people pissed about? Gentrification and the lack of parks (though Ald. George Cardenas secured $16 million to build the Little Village Community Park on a former 24-acre Celotex-Honeywell site at 28th Street and Sacramento Avenue). Who will rule the land? U. of C. grad Carina Sanchez and lifelong resident Jesus “Jesse” Iniguez are both fresh-faced (at ages 29 and 25, respectively), but Cardenas has the HDO behind him, and just scored a new park for his ’hood. What are people pissed about? Residents complain about late mail, no mail, and getting other people’s mail. The West Lawn Post Office has had a management vacancy for 14 months. Who will rule the land? Ald. Frank Olivo is flying solo this race. Why would you go there? It’s affordable and pretty. What are people pissed about? That Daley ally Ed Burke tried to clean up the old ComEd plants, but failed. Who will rule the land? Burke—who is one of the most wealthy and powerful City Council members—has ruled the now predominantly Hispanic ward since 1969, and hasn’t had a challenger since 1971. In a last-minute, Chicago-style move he ousted from the ballot Paloma Andrade, 41, a teacher who moved from Mexico at age 12. Why would you go there? For the nice residents and endless dollar stores. What are people pissed about? Englewood is one of the poorest and most dangerous neighborhoods in the city. It’s the center of a struggle between the Black Disciple, Gangster Disciple and Black P. Stone gangs. Who will rule the land? Ald. Ted Thomas is retiring, so it’s between Toni Foulkes and Denise Dixon; both are community and labor activists. What are people pissed about? City services are seriously lacking considering this ward’s relative proximity to the lake, downtown and U.S. Cellular Field. Who will rule the land? Incumbent Shirley Coleman has an almost ominous political organization in the ward. Why would you go there? There are delicious Jamaican restaurants around 63rd Street, such as Jamaican Jerk. Who will rule the land? The 17th Ward Democratic Organization is among the best vote-producers in the city. Ald. Latasha Thomas should have little trouble getting reelected. Why would you go there? This is a primarily residential ward, but a visit to Nina’s, a hot-dog joint at Homan and 79th, will yield delicious results. What are people pissed about? This area is sensitive to blight; commercial investment is key. Who will rule the land? Daley appointed Lona Lane to replace Thomas Murphy, who became a judge. Viable candidates like Paul Stewart and Joseph Ziegler make it a toss-up. Why would you go there? To see the pretty houses and the city’s only hill. Who will rule the land? Voter turnout is always high, and that will probably favor the incumbent, Virginia “Ginger” Rugai. She has a rematch with John Somerville, who performed well in 2003. Timothy Sheehan could pull enough votes to force a run-off. What are people pissed about? Washington Park historically has been a working-class area—Studs Lonigan is set there—but it’s now one of the poorest communities in the city. Half of the lots are unoccupied (see 4th Ward). Who will rule the land? Ald. Arenda Troutman was recently indicted on a number of corruption charges, and allegedly referred to herself and her fellow City Councilmen as “hos.” She’ll handily win reelection against relatively unknown and underfunded challengers. Why would you go there? To smell the potato chips from the Jay’s plant at 99th and Cottage Grove. To tour the old industrial areas from May to October. What are people pissed about? Despite the gentrification, there are still dangerous parts, as jobs have vanished with the manufacturing industry. Who will rule the land? Ald. Howard Brookins Jr. infuriated progressives and organized labor by inviting Wal-Mart to replace the old Ryerson Steel plant (and City Council didn’t even approve the project). His opponent, Leroy Jones Jr., is considered by most to be the front-runner. Why would you go there? It’s home to the 26th Street Mexican Independence Day Parade, the largest annual Latino parade in Chicago. What are people pissed about? The Pink Line, gentrification, crime. There’s a lot of school-age residents, and while new schools have been built, overcrowding is still a problem. Who will rule the land? Ald. Ricardo Munoz is one of a handful of independent alderman who will stand up to Daley. Challenger Joaquin Salamanca stands a chance thanks to his experience in community immigration and naturalization. Why would you go there? To eat an Italian beef and watch Catholic high schools play each other in football. What are people pissed about? When you live next to Midway, there’s a lot to be pissed about, especially traffic. Who will rule the land? Ald. Mike Zalewski’s political patron is former U.S. Congressman and Democratic bigwig Bill Lipinski. Get used to him. What are people pissed about? Black professionals have begun to return to this area, one of the poorest and most dangerous in the city. Residents welcome the development but want city services to benefit everybody. In the heart of the ward, about 15 different gangs operate within six square miles. Who will rule the land? Ald. Michael Chandler has a lot of challengers with little money. He’s not going anywhere. Why would you go there? Spaghetti on Friday, dim sum on Saturday, and the best tacos and murals on Sunday. What are people pissed about? Pink Line, new housing, new residents. Who will rule the land? Ald. Danny Solis is on shaky ground with Daley and the unions after voting anti-big-box. He faces five others, including Ambrosio Medrano, who was alderman of the ward from 1991 to 1996 and went to jail on federal corruption charges.